Hollywood, Calif. – January 9, 2019 – Kevin Smith, Legion M and Agents of Mayhem in partnership with Stan Lee’s POW! 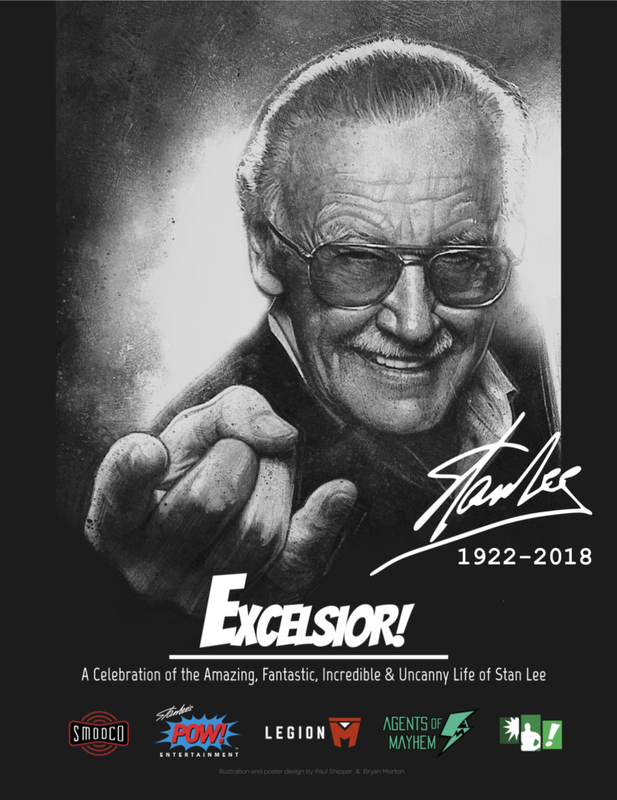 Entertainment today announced “Excelsior! A Celebration of the Amazing, Fantastic, Incredible & Uncanny Life of Stan Lee,” a tribute event for Stan’s friends and fans to memorialize one of the greatest storytellers of all-time, and benefit one of Stan’s favorite charities: The Hero Initiative. The head of The Hero Initiative Jim McLauchlin knew Stan for decades and said, "Stan believed in the 'golden rule,' and always went out of his way to make time for others and make their day just a little bit better. I think this tribute is absolutely in that spirit, and a great chance for fans to get together, share their love for Stan, and find strength in that." Starting with CLERKS, Kevin Smith has been making movies, TV, live shows and podcasts for 25 years now. He almost died recently but it was only a passing thing. including the critically acclaimed Colossal, starring Anne Hathaway and Jason Sudeikis, and directed by Nacho Vigalondo, the cult hit Mandy starring Nicolas Cage and directed by Panos Cosmatos, and Bad Samaritan starring David Tennant and directed and produced by Dean Devlin. Legion M and its fan community has produced high-profile events honoring some of the industry's biggest names, including the Stan Lee hand and footprint ceremony at Hollywood's TCL Chinese Theatre in 2017. To learn more about Legion M and become a member of the Legion for free, visit www.legionm.com. emergency medical aid, financial support for essentials of life, and an avenue back into paying work. It’s a chance for all of us to give back something to the people who have given us so much enjoyment.